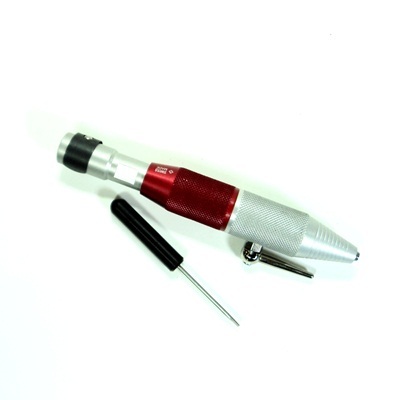 The Swiss-made Technique is a quick-change handpiece that uses a lever to open and close the standard 3/32" (2.35mm) collet. Unlike any other lever style quick-change handpiece, the Swiss-made technique can be opened with one hand and in either direction. 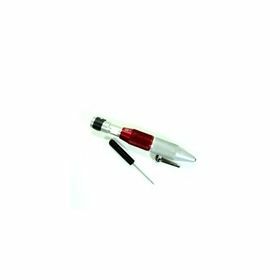 The robust and reliable design of this hand piece also allows the lever to be moved before the hand piece has come to a complete stop. The Swiss-made technique quick-change handpiece runs true with no "wobble" at low speeds and requires little maintenance, other than keeping the collet clean and adjusted. The Swiss-made technique handpiece is based on the no longer in production Swedish-made techno handpiece.